Electrical conductivity gives a good indication as to what the stream is carrying in relation to dissolved load. High values represent high load and vice versa. Values are often higher in summer when levels are low and the dissolved load is more concentrated. 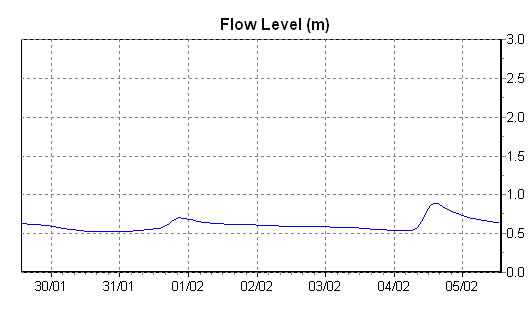 In winter the levels are often lower due to dilution events through rainfall or snowfall.